Yeovil Town manager Paul Sturrock believes there is more to come from new signing Francois Zoko. The 32-year-old striker played 68 minutes on his debut as Yeovil earned a 0-0 draw at Newport on Saturday. "You can see he is a little rusty but you can see he is a very good player," Sturrock told BBC Somerset. "For a 20-minute spell he played very, very well but he tired a wee bit. There were two or three passes in the first-half where he put people in." The Glovers host Wycombe on Tuesday and will still be without midfield duo Jack Compton and Marc Laird. The pair are expected to return from injury in time for the FA Cup tie with Stevenage on 5 December. 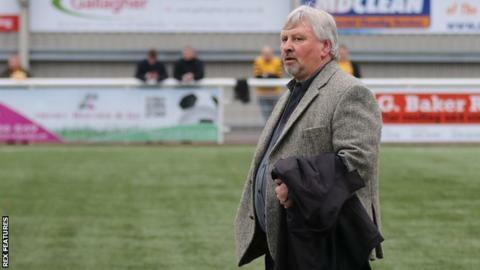 Sturrock knows the Glovers must improve their home form if they are to avoid relegation, with their last victory at Huish Park coming in August against Luton. "Our home form is key to it all and the game on Tuesday gives us chance to get back on an even keel," he added.